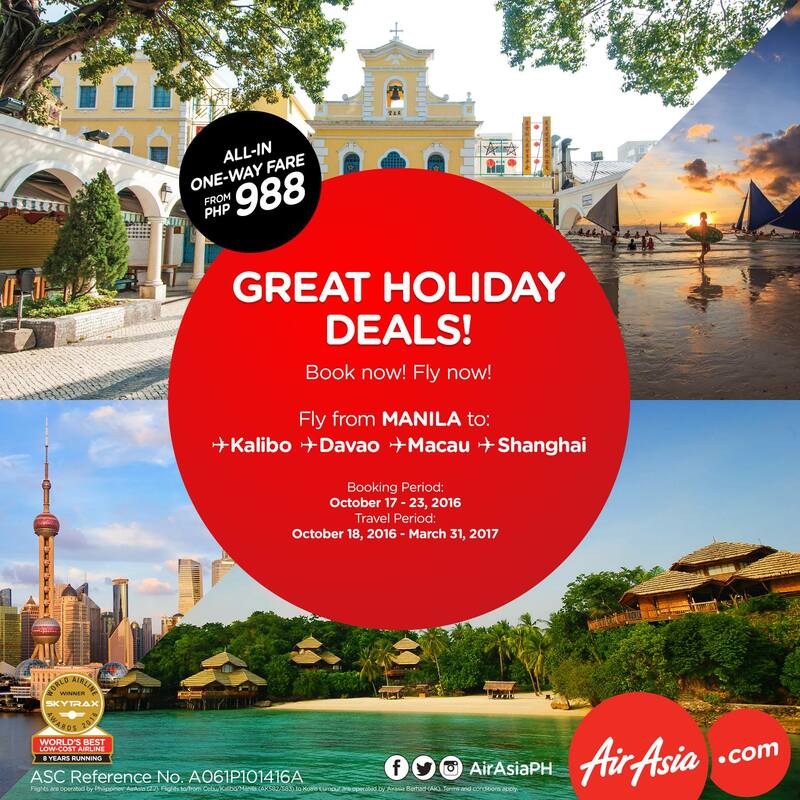 AirAsia Holiday Deals for as low as Php 988! We’re giving you great holiday deals! Fly from Manila to any of our domestic or international destination from as low as Php 988 ALL-IN ONE WAY FARE! Time to go on a holiday with your family & friends!